This desert may not be known to many but any Malaysians and Singaporeans can associate themselves to this famous dessert especially on a hot day. 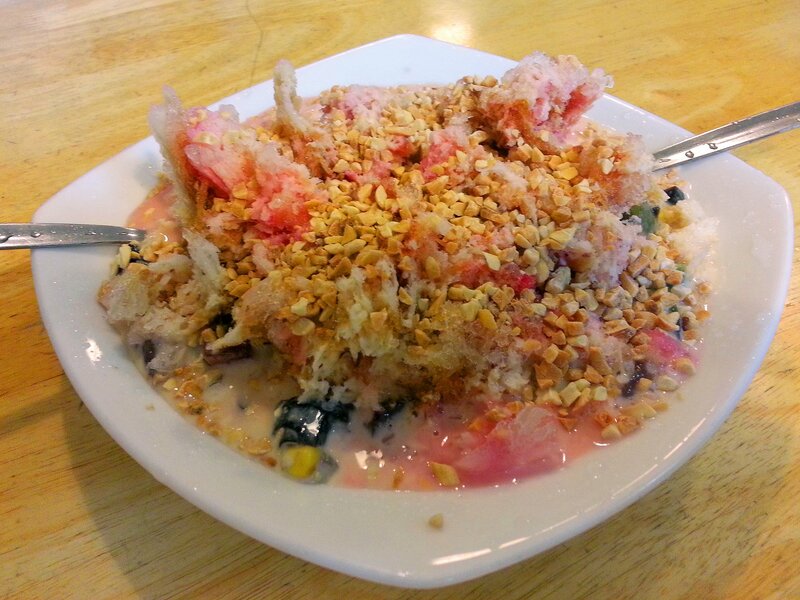 If you are looking for the best Ice Kacang in Melbourne, look no further. Sue’z Delight serves the best Ice Kacang – I have tried Ice Kacang in many Malaysian/Singaporean restaurants and none is as good. Why do I say it is the best? The taste is authentic. The other Ice Kacang I tried so far tasted too commercialised. Super generous accompaniment/toppings while other restaurants serve more shaved ice and not much of anything else. The serving size is so much that I believe it may qualify as a main meal. You only pay less than AUD6 for a mega serve of Ice Kacang. A lot of love and care has been put into shaved ice and accompaniment/toppings. The ice is finely shaved with no chunk of ice found from start to finish. The accompaniment/toppings are also placed evenly so that you don’t have to go treasure hunting for it. To the Ice Kacang seekers, I hope you will enjoy the Ice Kacang as much as I did.